Effective robotic teleoperation techniques are critical to Wizard-of-Oz (WoZ) style HRI experimentation. Current WoZ teleoperation methods such as GUIs, joysticks, and wearable sensors, may result in a loss of naturalistic interaction, impeding experimental effectiveness and validity. Recent work has investigated the use of Virtual Reality technologies to provide a WoZ teleoperator with their robot’s perspective. This technique enhances visual feedback and enables more natural interaction, but introduces its own challenges. The figure above shows the teleoperation interface, and its integration with the Softbank Pepper social robot. 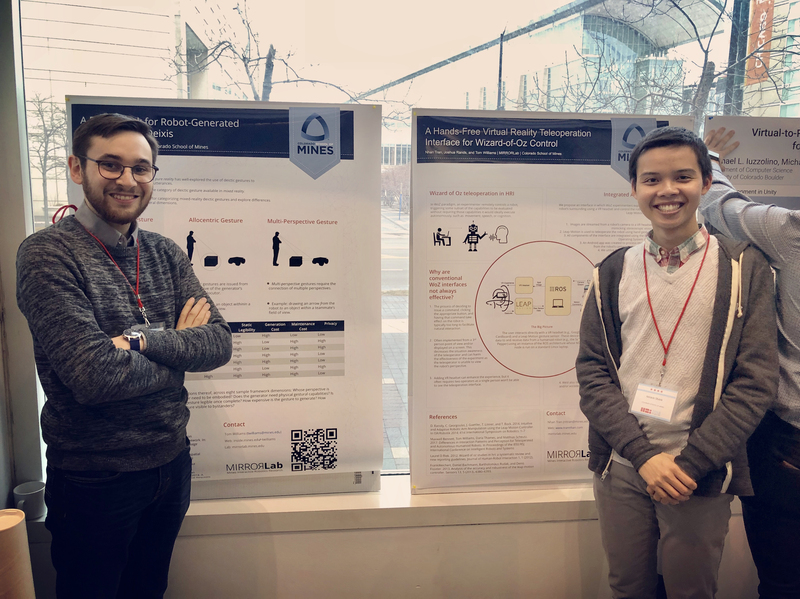 In this paper we propose a WoZ teleoperation interface that pairs a VR display with technologies for hands-free robot control in order to address those challenges while providing an immersive VR experience for robot teleoperators. I am the author lead of the project. Big thanks to my lab mate Josh Rands and my research advisor Tom Williams for helping me along the way. 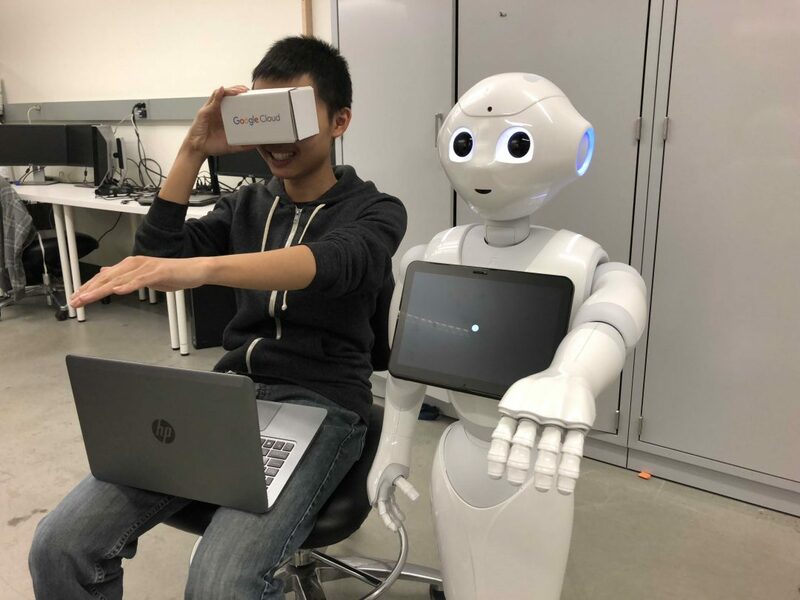 This paper was accepted to the 2018 International Workshop on Virtual, Augmented, & Mixed Reality for Human-Robot Interaction. My professor Dr. Tom Williams and I presented our work at HRI2018.